We have two Data Centers in the United States located at Dallas, TX and Scranton, PA. We are looking to expand our Data Center to Germany and India very soon. 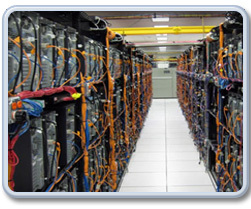 Our Data Center facilities contains everything needed to ensure your mission-critical Internet operation is functioning at the highest perfomance levels. The network is connected via 10-Gigabit Ethernet Wavelength handoff(s) on redundant/dual-path DWDM fiber-optic transport connections to XO™ Communications and Zayo™ Bandwidth. Our Network Operations Center currently has 1200amps 480V & 800amps 208V 3-Phase power currently available. The facility is currently backed up and protected by multiple 275KVA and 160KVA powerwares and facility-wide UPS (Uninterruptible Power Supply) systems. 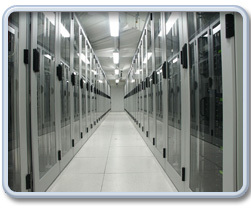 Precision-controlled raised floor air conditioning systems protect and cool mission-critical servers and equipments in the Network Operations Center.The systems provide a virtually dust-free and particle-free computing environment, with temperature, humidity, and air-quality regulation. Restricted access to the Network Operations Center is monitored by qualified personnel 24 hours a day, every day. Visitors and clientele are only allowed on-site if escorted by Network Operations Center staff. The entire Network Operations Center is monitored, ensuring prompt response and thorough coverage to fire or security alarms. The DC automatically provides backup data services to all shared hosting and virtual private server (VPS) clientele. Services are also optionally available to all dedicated and co-location clientele.Services are also optionally available to all dedicated and co-location clientele. The Network Operations Center uses industry-standard SNMP (Simple Network Management Protocol) and provides round-the-clock monitoring of all hardware, including routers, switches, UPS systems, and servers. The Network Operations Center also monitors power, environmental factors (such as temperature and humidity), generator status, and network connectivity. The Network Operations Center utilizes ONLY top name brand hardware. The network is centered on Cisco™ 6500-series border/core routers and 4900M switches, connecting via Gigabit Ethernet (1000mbps) to the Cisco™ 6500-series aggregation switches. The network is protected from Distributed Denial of Service (DDOS) attacks via Cisco Guard™ protection systems. The Network Operations Center utilizes the CentOS™ Linux operating system on the majority of servers present. 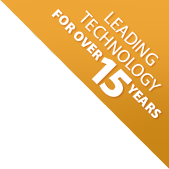 CentOS™ Linux is a highly configurable system, and well known for speed and stability.